The Las Vegas shooting was a terrible tragedy, but there’s some things surrounding the shooting that aren’t making a lot of sense. 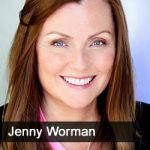 Jason Hartman talks with former Congressional candidate Jenny Worman about some of the aspects that just don’t add up. The two discuss societies views on conspiracy theories, and why we can’t just rely on mainstream media to give us the whole story.